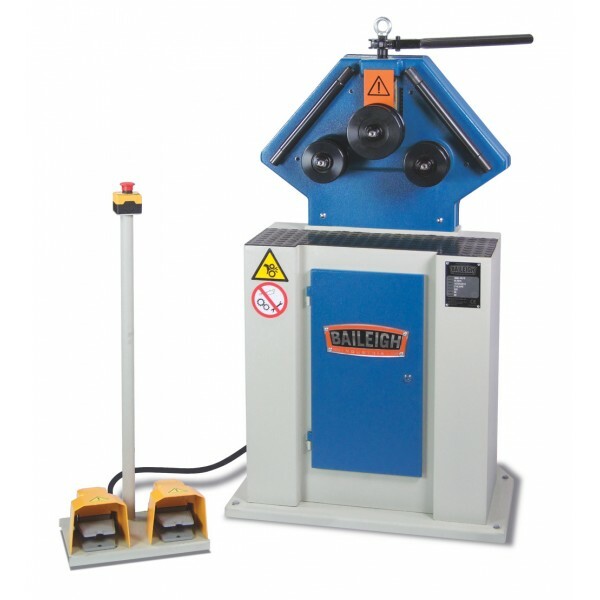 This versatile ring roller makes a strong starter machine for any fabricator looking to dive into profile bending. 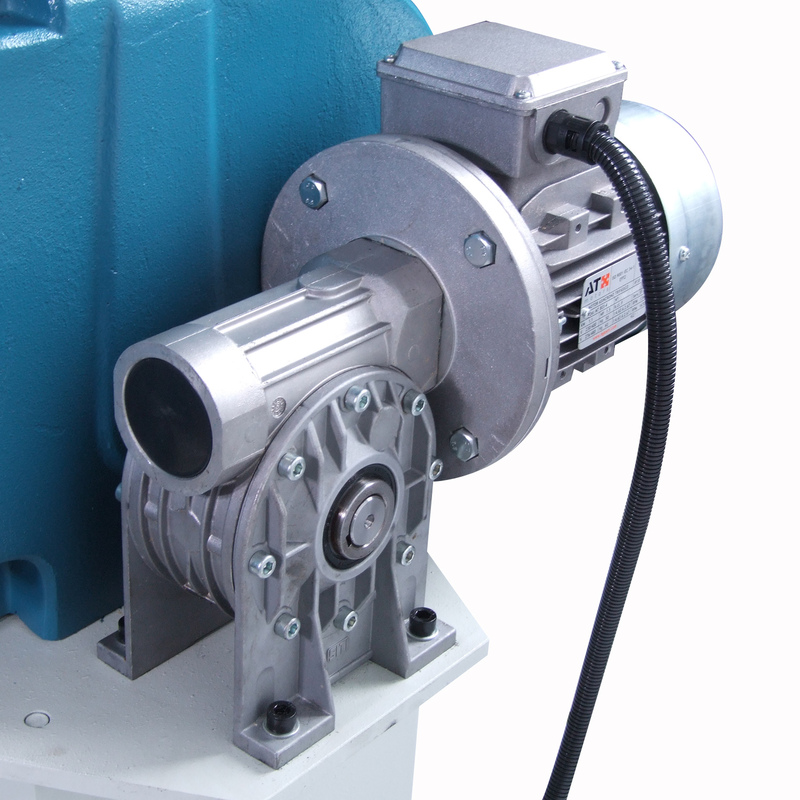 220-volt single-phase motor can run at almost any site in North America. 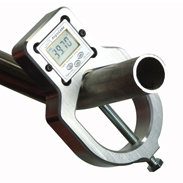 2" round tube and 1.5" schedule 40 pipe maximum capacity. 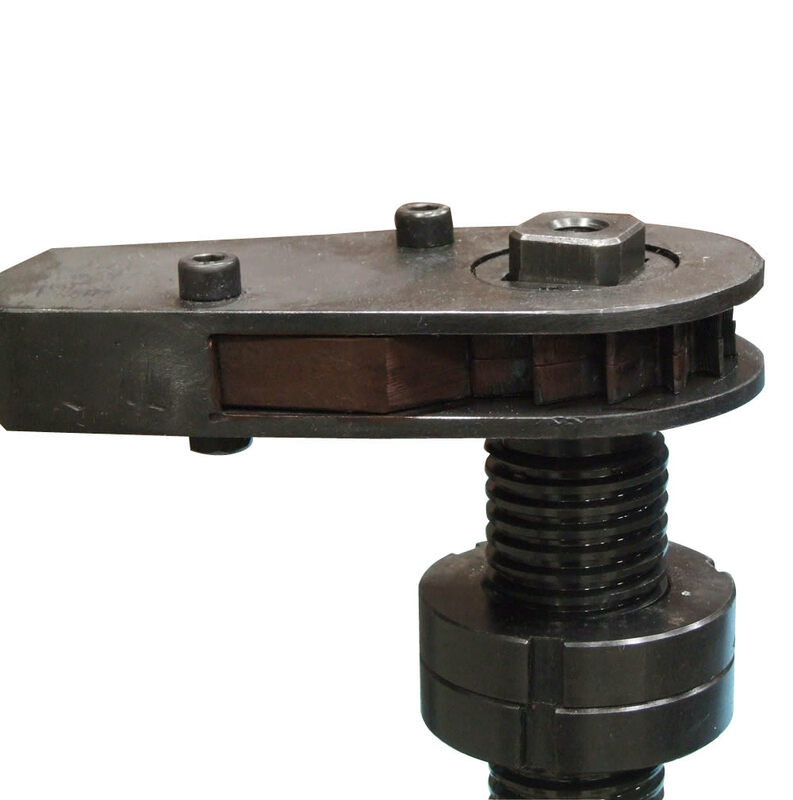 Ratchet-style manual top shaft allows you to adjust forming pressure. 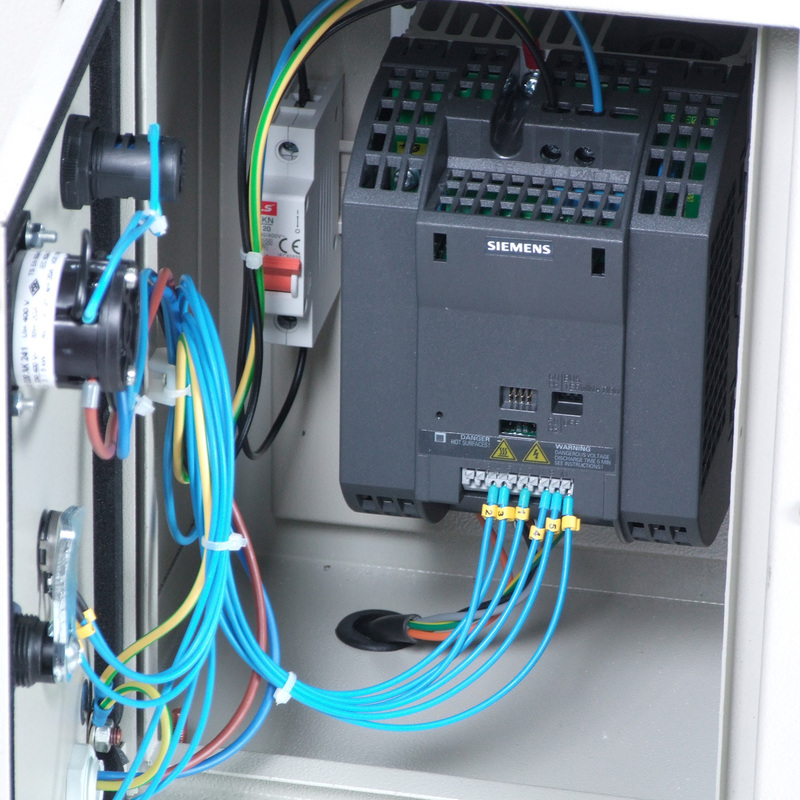 Variable-speed inverter drives and industrial-grade transmission provide delicate control over material. 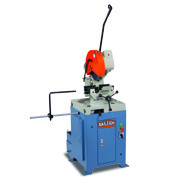 Executes bends in upright or horizontal positions, to accommodate a range of material lengths. Sturdy base opens into a storage cabinet for tooling and other options. 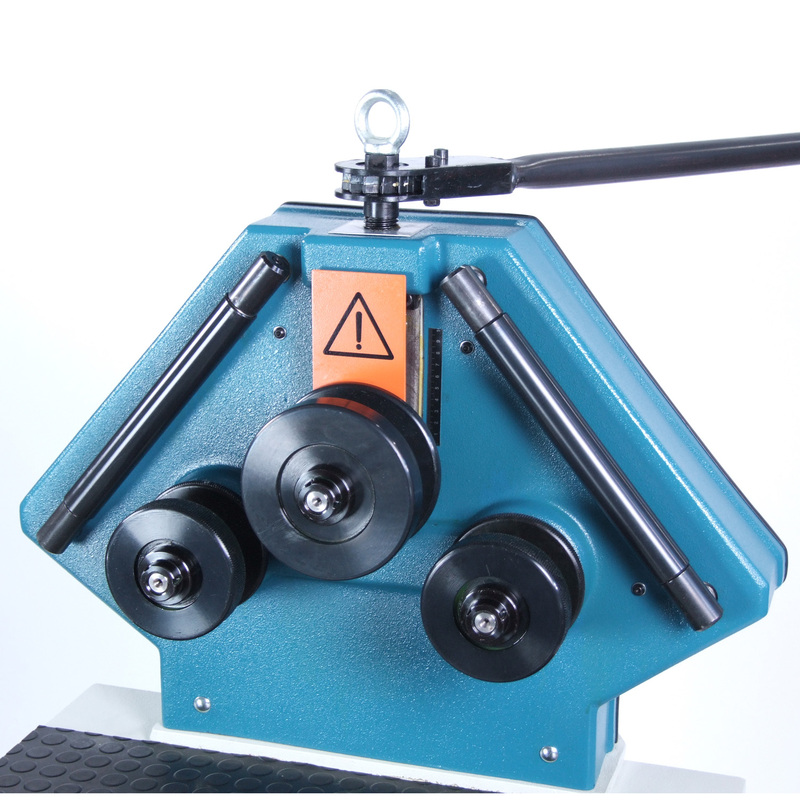 Comes standard with a set of segment rolls that can be used for bending flat bar, solid rod, and some square applications. 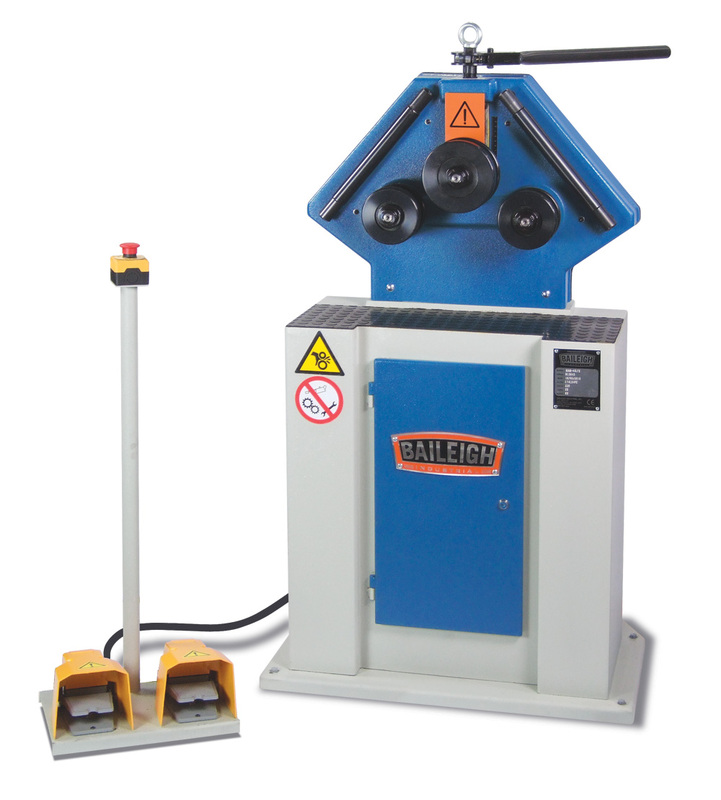 Manufactured from heavy steel plate to extend machine’s lifetime of use. Baileigh covers this tubing roller with a 1-year warranty and lifetime technical support by phone. 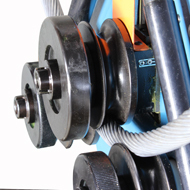 Use this machine for: Coiling tubing, hay hoops, metal art, stair railings, and many other applications. Why choose the R-M40 over similar machines? You won’t find many roll benders built to the same rugged standards as the R-M40. 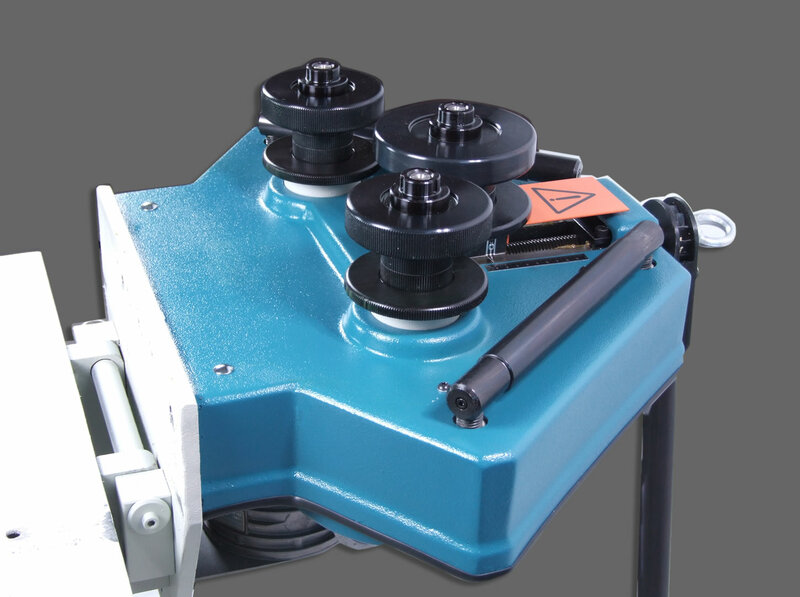 The steel plate construction of this tube roller maintains accuracy and minimizes flex. We stock a wide range of optional tooling for tubing and pipe, as well as other profiles. You can call Baileigh’s team of knowledgeable reps for troubleshooting and free project advice for as long as you’re using the R-M40. Questions? Please give us a call at 1-920-684-4990 and talk to a Baileigh expert. Size: 1.5" (sch. 40) / Min. Dia. : 28"
Size: 2" (.078") / Min. Dia. : 27.55"
Size: 1.5" (.078") / Min. Dia. : 39"
Size: 1.375" / Min. Dia. : 24"
Size: 3" (.5") / Min. Dia. : 15.75"
Size: 1.5" (.157") / Min. Dia. : 22"
To create a public art piece, the folks at Santa Barbara Forge had to bend large pieces of bronze in a variety of shapes. They turned to Baileigh's R-M40. The machine's precision, ease of use, and quality were key factors in the job's success. Maxx Custom recently used the R-M40 to fill an order of custom podiums for the their client in the funeral industry. The team appreciates the reliability of Baileigh's roll bender, which is still going strong after 7 years! Tyler Burleson uses the R-M40 to make metal pieces featured in galleries and art shows all over Las Vegas. The machine's motorized rolls keep his hands free for quick adjustments. 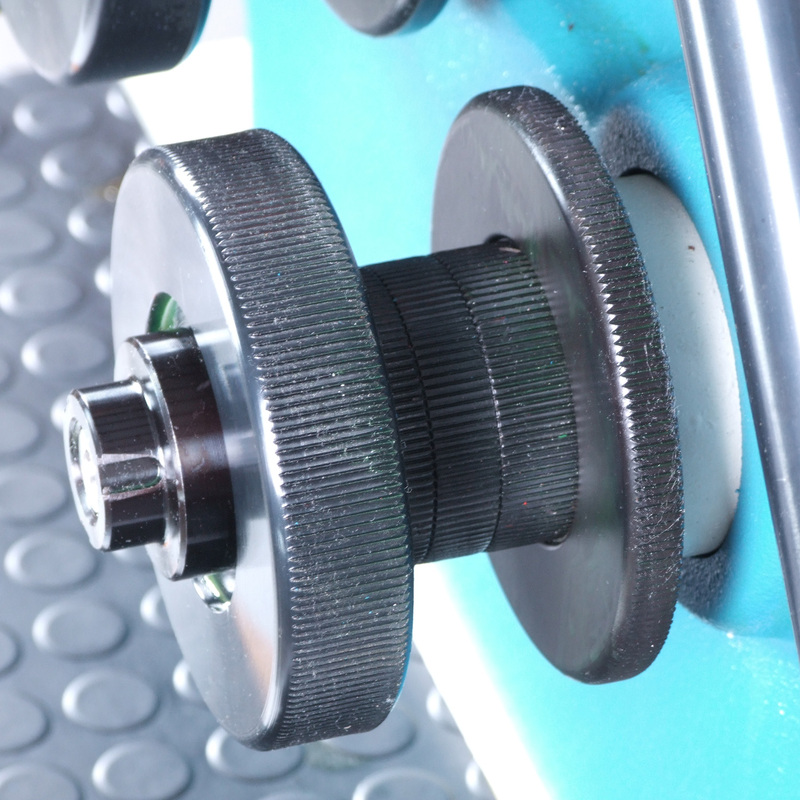 The top roll adjustment allows him to repeat parts easily, without the trial and error of manual machines. This public art installation demanded that we be able to have precise control over the dimensions of our arcs, as well as the ability to change the acuteness of the arcs on the fly. The R-M40 roll bender did that and more. We had to form bronze ingot to templates based on hand drawn lines to be cemented into the sidewalk with the fill colors rendered in tile. The R-M40 allowed us to precisely control the bronze in a way that was not unlike putting ink to paper, which in effect we were doing. 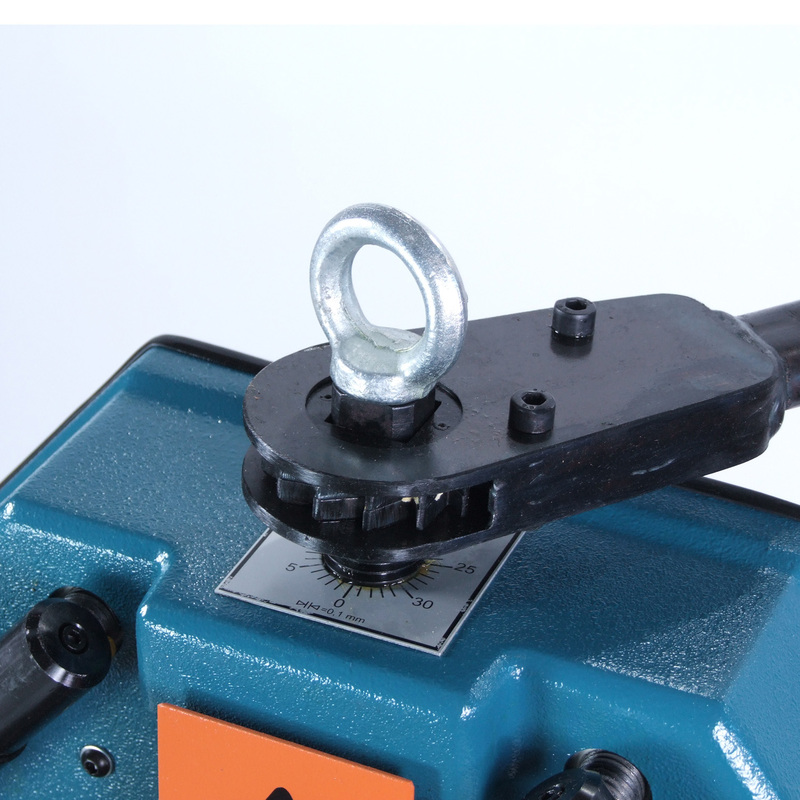 The ability of the roll bender machine to make 1/2"x1" solid bronze malleable and easy to work with is a testament to the quality, ease of use, and solid engineering behind Baileigh’s products.